When we first planned our move to our farm, I started reading everything I could get my hands on about farming, animals, raising food, building fences and coops, and on and on. One of my all-time favorites is a book my sister-in-law first told me about – The Encyclopedia of Country Living by Carla Emery. Throughout all her years as a homesteading mother to 7 children, even after her husband left her, Carla Emery faithfully recorded all that she learned so she could share it with others who had the same passion. The result is an 928 page book that is packed with useful information written in a very down-to-earth way, almost like sitting around the kitchen table with her. It is a delight to read. There are great recipes, instructions on how to preserve food, info on animal husbandry, tanning hides, how to plant and prune a fruit tree, herbal remedies, and more. Her book is more comprehensive than just about any other book I’ve read. 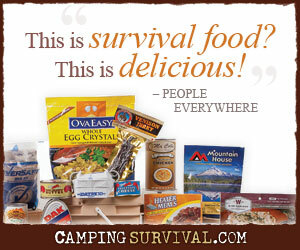 It should be considered a must-read or at least a must-have shelf reference for every prepper. She even covers things like saving seeds, mothering in the extreme cold, pairing spices with foods, and preventing gas with beans. Tell me those aren’t things a prepper might want to know! Throughout the book, there are amusing little cartoons and letters she’s received from readers over the years. Just looking back through the book to write this review makes me want to read my well-marked copy all over again. I highly recommend this book. I think this book is a must-have for any prepper considering living after TSHTF. I’ve had my copy for a few years now and it’s awesome. I have owned this book for about five years now. There is a lot of good info in it. You will enjoy the read, but most of all you will learn something about living frugally. You may not understand it all the first time you read it. You will have a great book to find answers in. If you continue to read and use it, you will find so much information in it that you will be amazed. I own a few different books about living off the land, but his one is the best to start with.